Wind and rain have delayed weed control. We have articles this week on how to reduce spray drift when spraying in a little wind, and how to clean the tank properly between fields. Other topics include nitrogen and sulphur losses from excess rain, cutworms, diamondback moth larvae, blackleg and weed control windows. What are these insects? Take the quiz to share your answers. 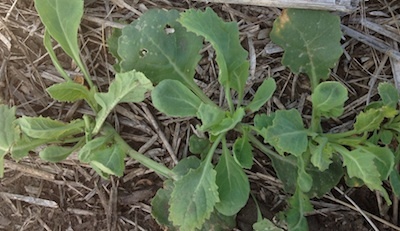 Canola can be damaged by trace herbicide residues left in a sprayer tank. This article underlines the importance of a complete clean out between products, and an understanding of what risks each product and each tank mix presents in terms of scrubbing effect and what may happen to a product or products if left in the tank for an extended period. To reduce drift, use coarse sprays and apply at lower pressure, spray with at least some wind (calm is bad), slow down, consider shrouds, and keep the boom low. Heavy rains can increase nitrogen and sulphur leaching in lighter soils, and increase denitrification in heavier soils. While very good soil moisture conditions may increase canola yield potential, those rains may have depleted the nitrogen reserves somewhat. Top dressing is an option. Read more for topdressing tips. Cutworms can leave canola fields with bare patches, clipped plants and large chunks out of stems and leaves. Flocks of birds — crows, gulls, etc. 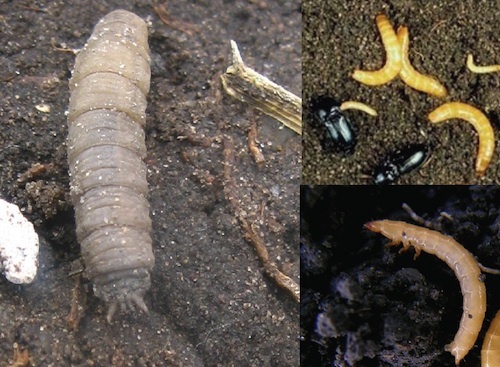 — can be a sign that cutworms are present in large numbers, but nothing beats digging to confirm your suspicions. Cutworm thresholds are based on stand reduction, not actual cutworm counts. 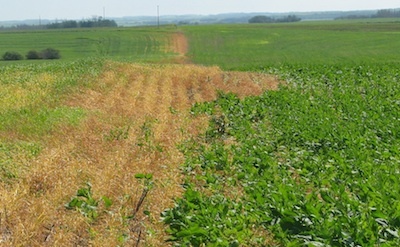 The threshold for canola is 25% to 30% stand reduction. Before spraying for diamondback moth larvae, make sure that: 1. Large areas within the field have reached the nominal threshold of 25% or more of the leaf area lost. 2. Diamondback larvae are still present. 3. They are actively feeding. (Many diamondback moth larvae may have started to cocoon (pupate) and are no longer a threat.) 4. Newest leaves are being eaten. If the newest leaves are in good shape, the crop will probably grow through the threat.